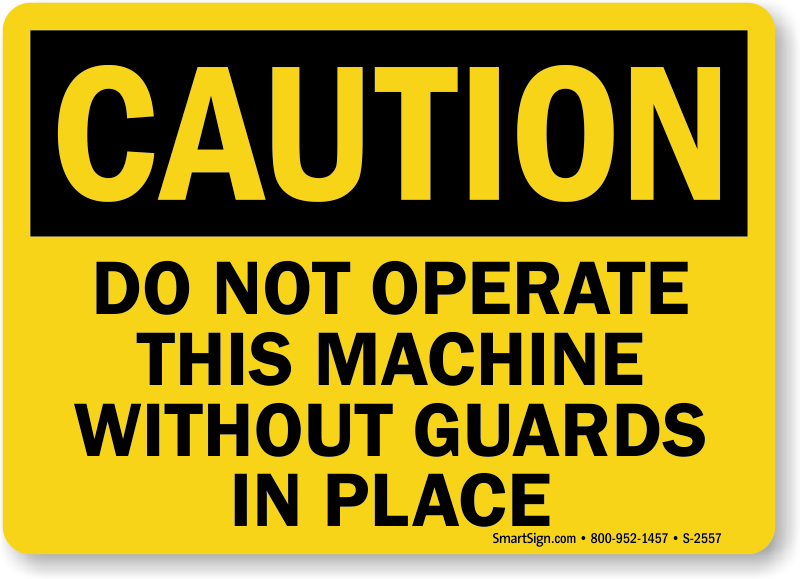 As a facility owner, employee safety is one of the most important responsibilities you hold. 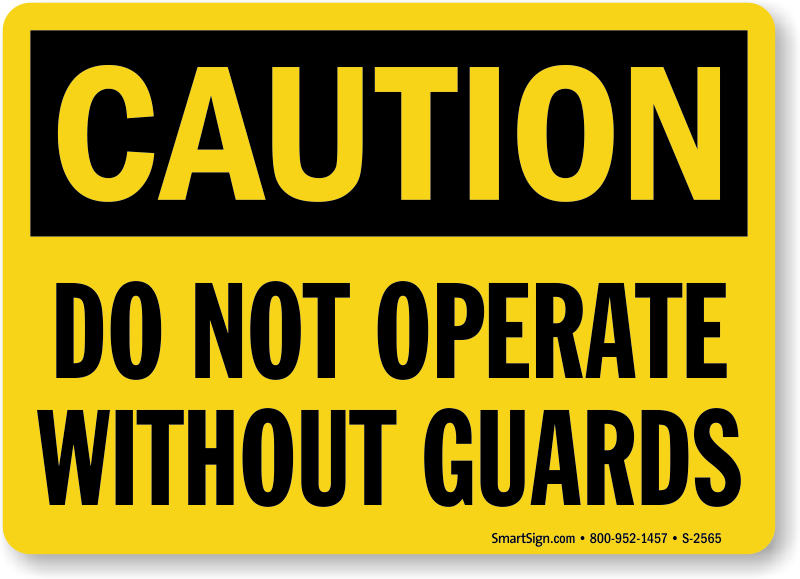 Our durable and affordable labels help you convey each and every safety message to the workforce and reduce your liabilities to a great extent. 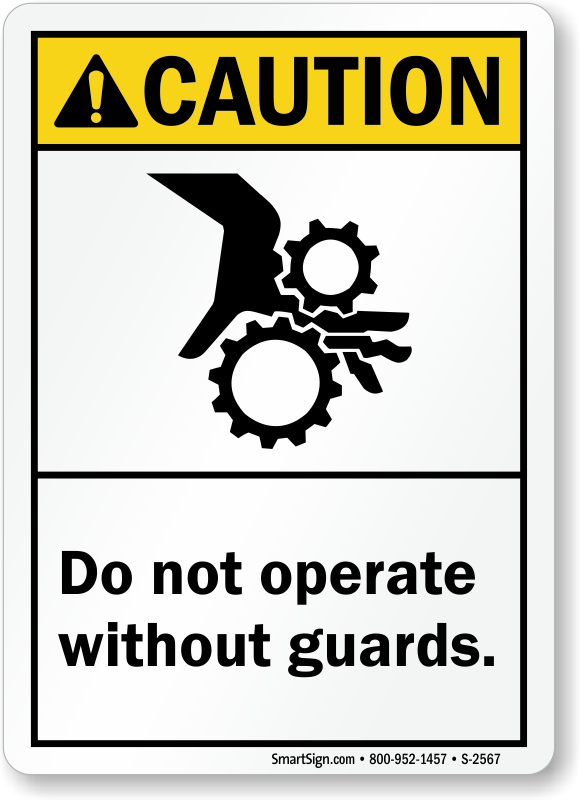 Protect your employees against various mechanical hazards by posting Danger Do Not Operate Without Guards Labels. 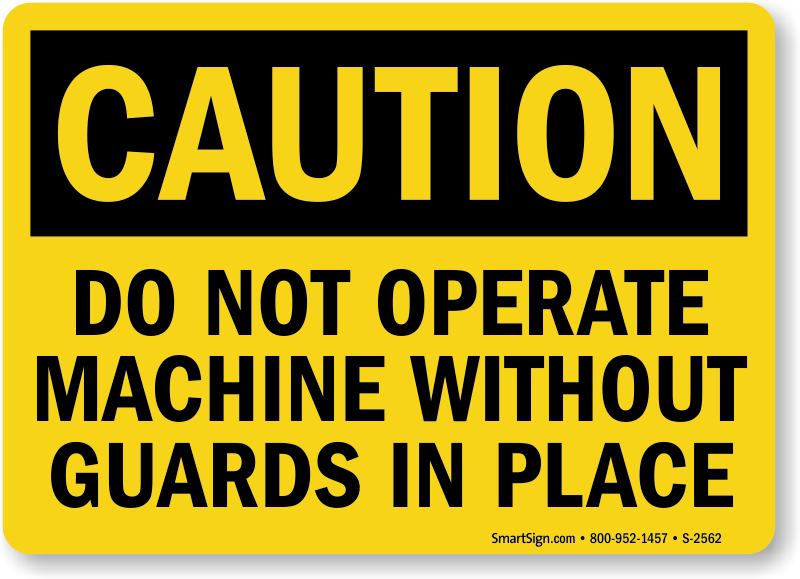 These labels remind workers not to work on a machine without machine guard in place which prevents the operators from physically reaching around, under, or through the dangerous machine parts and shields them from flying dust or debris. 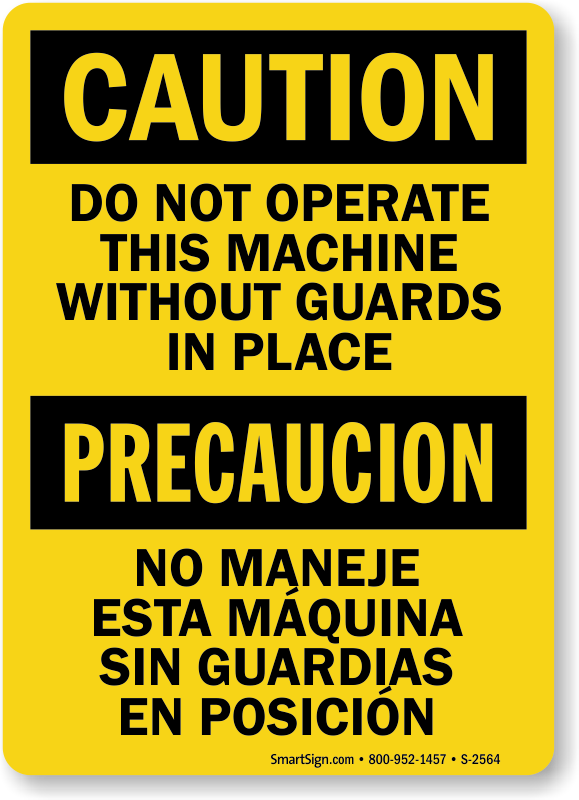 • Each label has a comprehensive and clear message leaving no room for ambiguity. 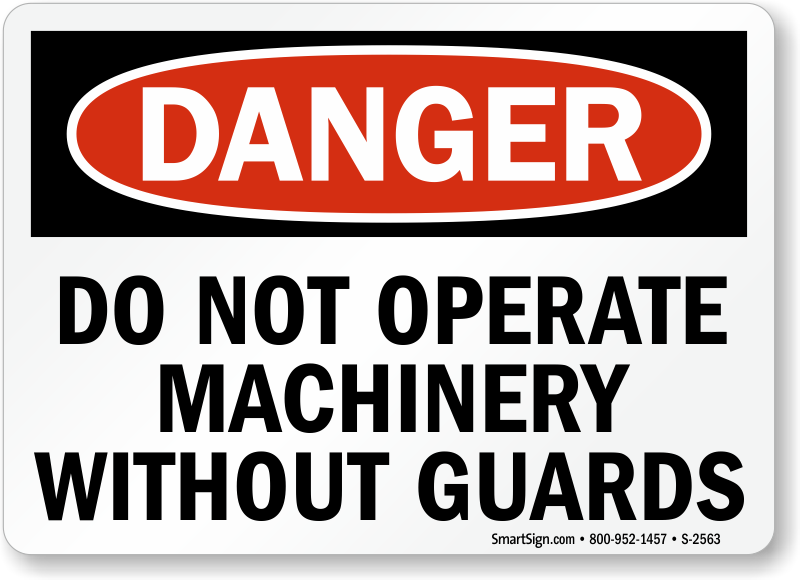 • We have both – ANSI and OSHA danger labels to effectively warn your employees against mechanical hazards. 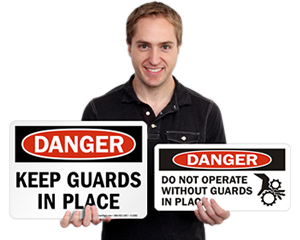 • Paper and vinyl labels come with good adhesive backing suitable for metallic surfaces too. • Hover your mouse over any of these designs to know more details about sizes, materials, and pricing offered.